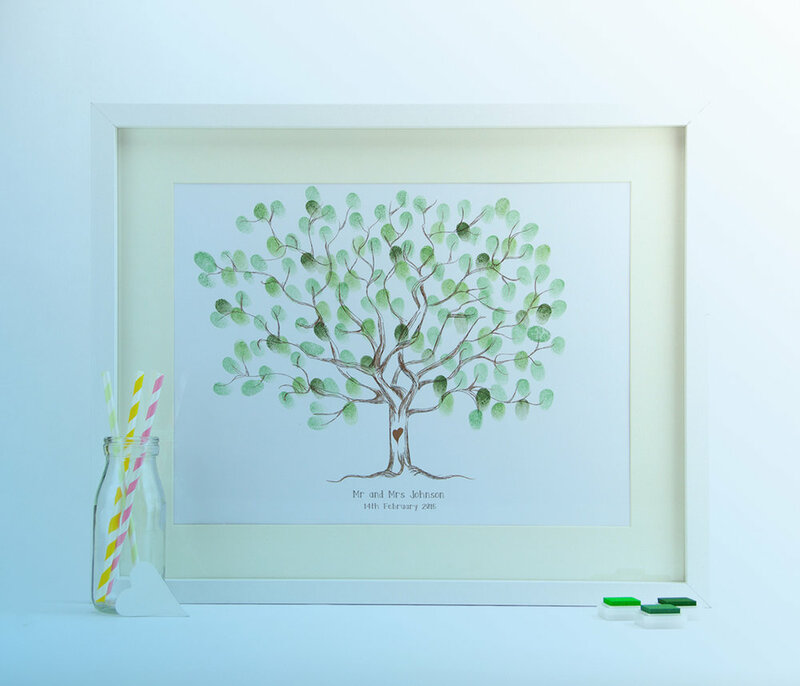 The Rustic Tree & Couples Kiss Fingerprint Guest Books come personalised with your chosen date and information. Your hair colour & skin tone is also personalised on the 'couples kiss'. 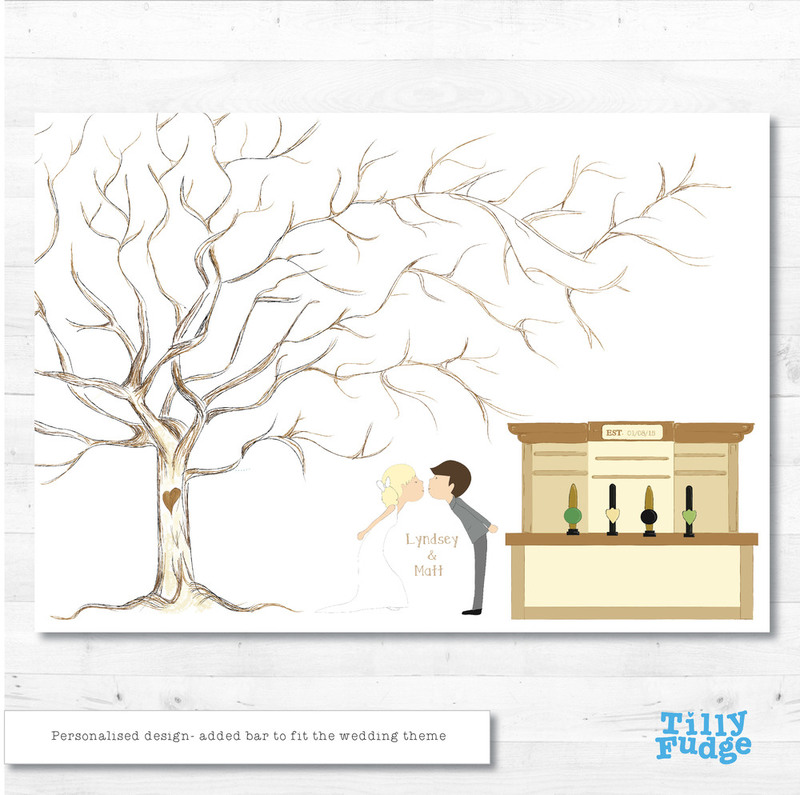 Below are some optional added extras to the 'rustic tree' & 'couples kiss' fingerprint guest books. All of these little add-ons are all digitally hand drawn to make your design extra special. A3, 300gsm smooth card. Unframed. 3x inks in a choice of colours. A guest information card.